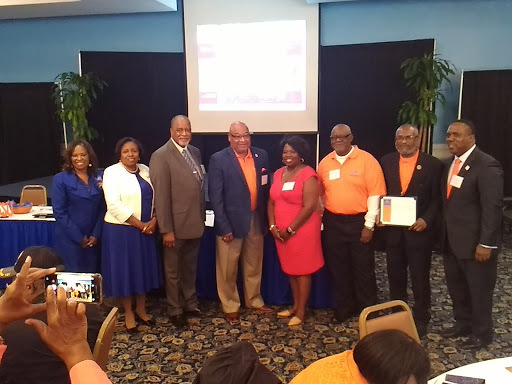 SAVANNAH, Ga. — The newly chartered Savannah State University National Alumni Association Class of 1976 Chapter, received its official Chapter Charter on Saturday, May 6, during the annual SSUNAA National Conference. Mr. Clyde A. Newton, the SSUNAA National President, administered the chartering of the chapter and installation of its new officers. The SSUNAA Class of 1976 Chapter is the first affinity group of alumni to be chartered as an official chapter of the organization and entered the organization with an initial membership of 33 alumni members, the majority being first-time donors to Savannah State University. 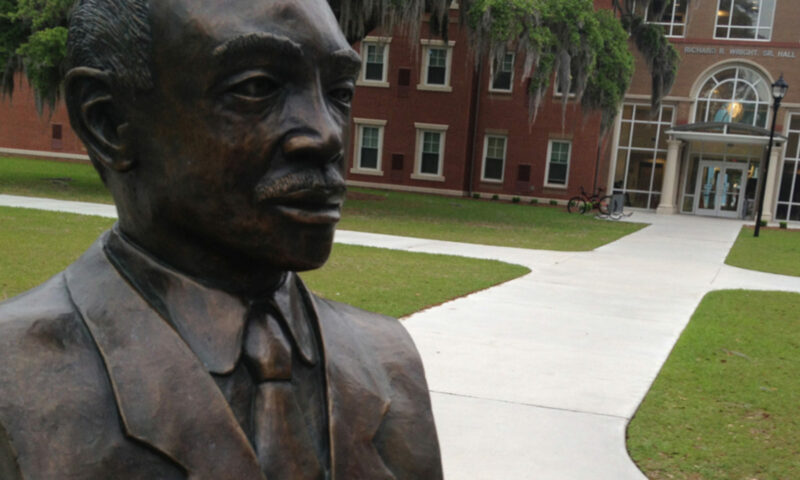 Within the SSUNAA, affinity groups are considered class reunion groups, fraternities, sororities, and other established groups who wish to organize and becoming active alumni chapters and donors to Savannah State University through the SSUNAA. The chapter’s newly elected officers installed during this ceremony were Charles Young (President), Darriel Bailey (Vice-President), Audrey Conyers-Rhodes (Secretary), Willie Roberson (Treasurer), Rev. Thomas Williams (Chaplain). Members of the Class of 1976 initiated official affiliation with the SSUNAA in the Fall of 2016 After celebrating its 40th class reunion during the 2016 SSU Homecoming, the class’s fourth organized reunion gathering. The members received the authorization to charter as a chapter earlier this year. During its 30th Class Reunion Celebration, the members initiated funding for a Class Endowment Fund at the university thru the SSU Foundation, and donated $40,000 to the university during its 40th Year Celebration. For additional information about the SSUNAA Class of 1976 Chapter or to join, contact Mr. Young at charles.young@ssunaa.org. For additional information on establishing an SSUNAA chapter or to join a current chapter, visit the SSUNAA Chapter information page at SSUNAA.org.